This page is included as background to help differentiate bedrock erosion events occurring under paleoclimatic conditions from events occurring under Holocene conditions (events potentially still ongoing today). Please see also Lichen Analysis . 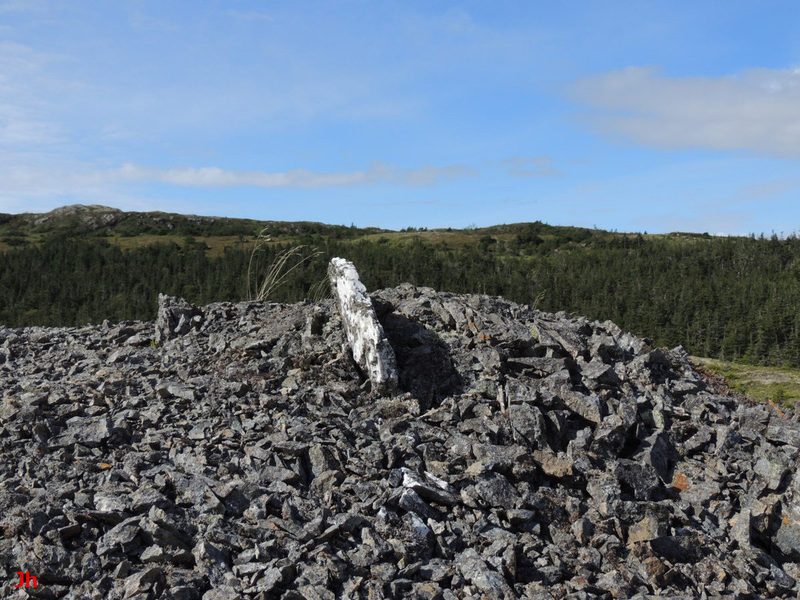 The above photo shows a 3 m high cone of volcanic bedrock that is undergoing rapid erosion by the freeze-thaw weathering process under current Holocene climate conditions. The erosion is accelerated by the vulnerability of this particular rock to chemical attack by water. Freeze-thaw weathering (also called frost shattering) is an erosion process that results when groundwater, rainwater or melted snow enters pores or joints in rock and then breaks the rock through frost wedging. Freeze-thaw weathering is a common occurrence in all parts of the world where the temperature sometimes goes below freezing. 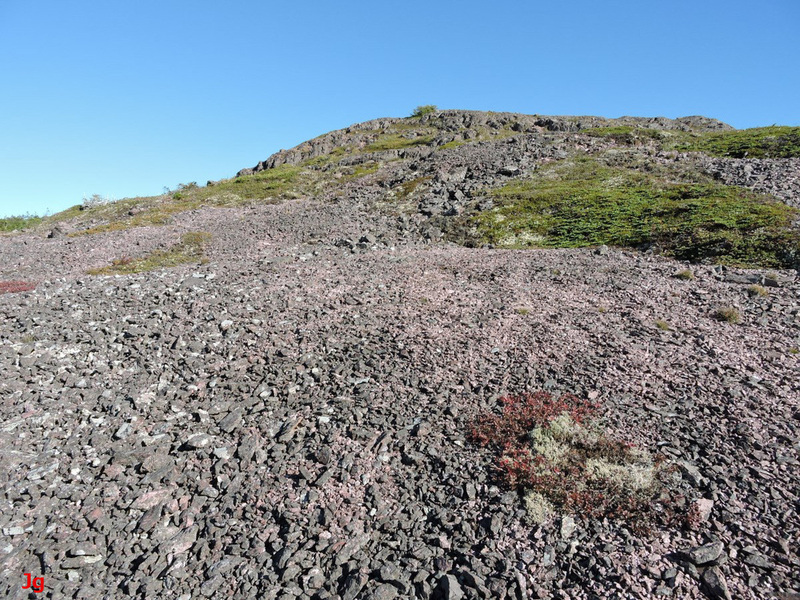 Mass wasting on hillsides and the resultant scree is usually a consequence of freeze-thaw weathering. The diagram below illustrates the basic process. The freeze-thaw weathering process can be driven by ice segregation or, theoretically, by the 9% volume expansion of water upon freezing. As a joint widens under the influence of frost wedging, ice must continue to fill the widened space if the joint is to be widened still further. This requirement limits the ability of freeze-thaw weathering to cause very large displacements of rock fragments. An exception exists when the process occurs beneath the water table or if a rock were to become encased in ice. 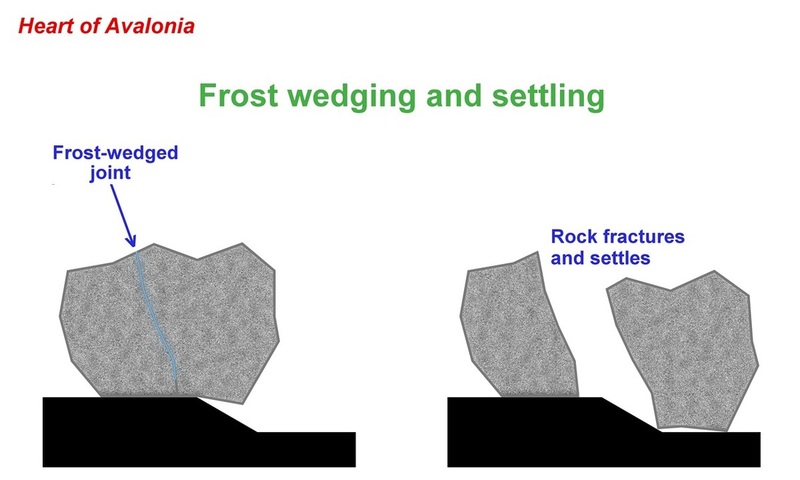 Gravity acting on rock fragments separated by freeze-thaw weathering can cause the fragments to separate further (settle), independent of frost action. This action is illustrated below. A number of illustrations will now be presented, aimed at identifying modern-day freeze-thaw weathering occurrences and thereby helping separate them from relict glacial and periglacial erosion occurrences. 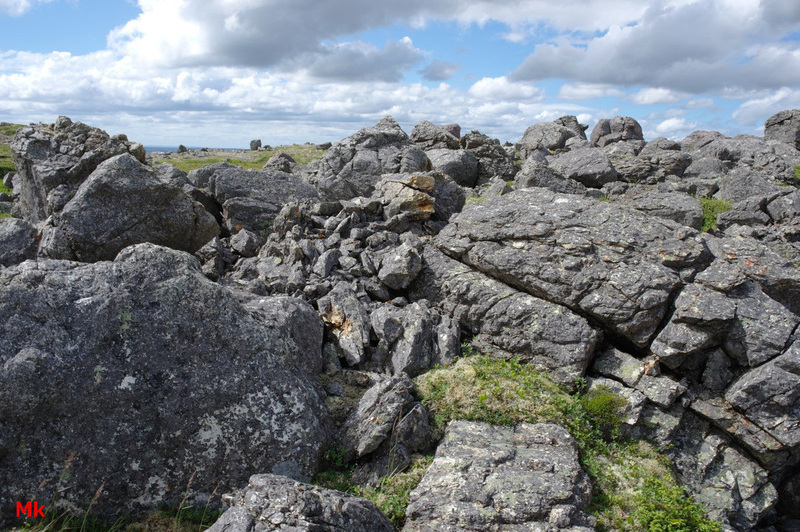 In the above example a granite glacial erratic (3 m high) has failed along joints, presumably due to frost wedging. The separated pieces then settled, widening the break further. This volcanic rock is undergoing simultaneous erosion by freeze-thaw weathering and chemical attack by water. 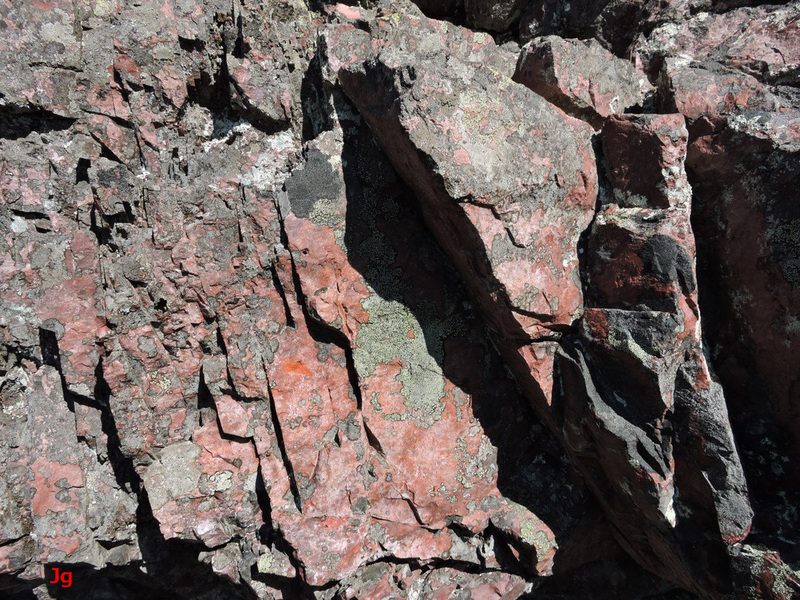 Water is oxidizing iron in the rock (Fe++ to Fe+++), the oxidation occurring while water remains trapped in joints over long periods. When frost wedging eventually breaks the rock, the iron (III) oxide coating on what was once an internal surface, is eroded away by rain. Freshly occurring (within the last few years) freeze-thaw weathering then becomes plain to see. The photos above show two views of the same bedrock outcrop. 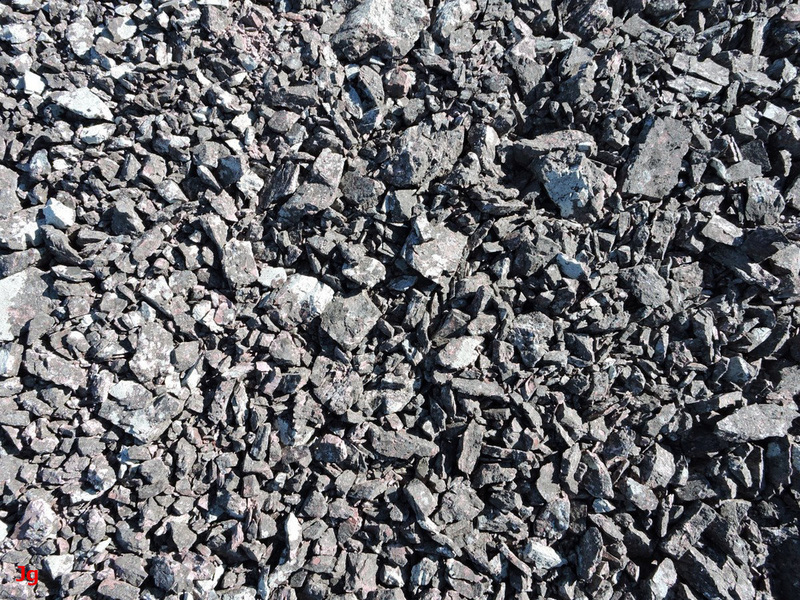 The original glacially-smoothed surface of the bedrock has been completely degraded by freeze-thaw weathering, reducing a smooth rock surface to what presently looks like a bed of gravel. A quartz vein, originally flush with the glacially-contoured surface now stands exposed about 15 cm high (right photo). The quartz, resistant to erosion, shows the pre-existing height of the outcrop. This illustration demonstrates that freeze-thaw weathering, occurring in tens of thousands of iterations over thousands of winters, can reduce rock to arbitrarily small particle size. 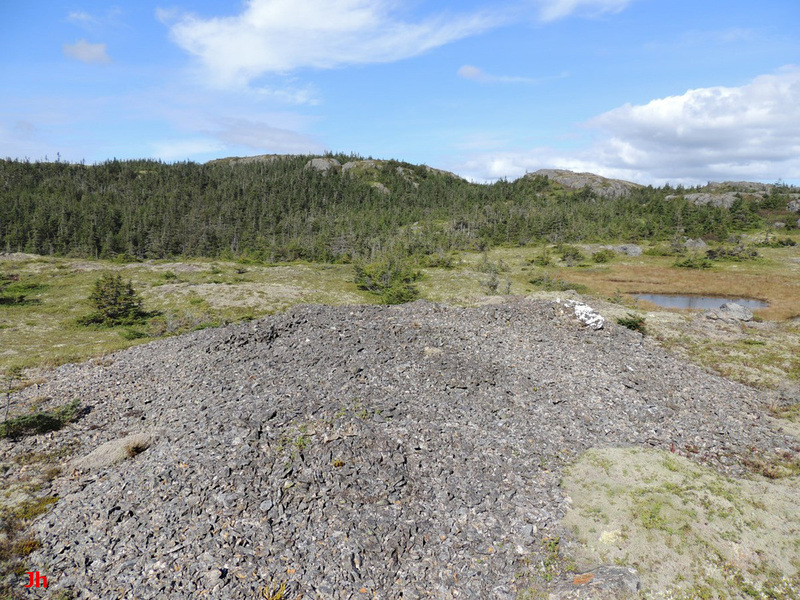 The fact that the fragmented outcrop is now lower than the original outcrop suggests that some of the original bedrock has been reduced to such fine particle sizes that these tiny particles could be washed away by the rain. 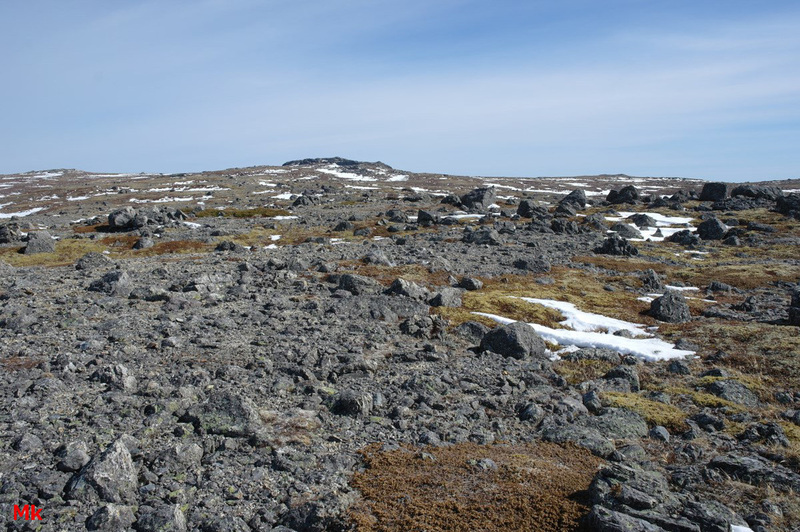 The above picture shows a landscape where freeze-thaw weathering is gradually reducing glacially-scattered boulders to soil. The ground surface shown above (closeup on right, width of view 1 m) is actively being attacked by freeze-thaw weathering. 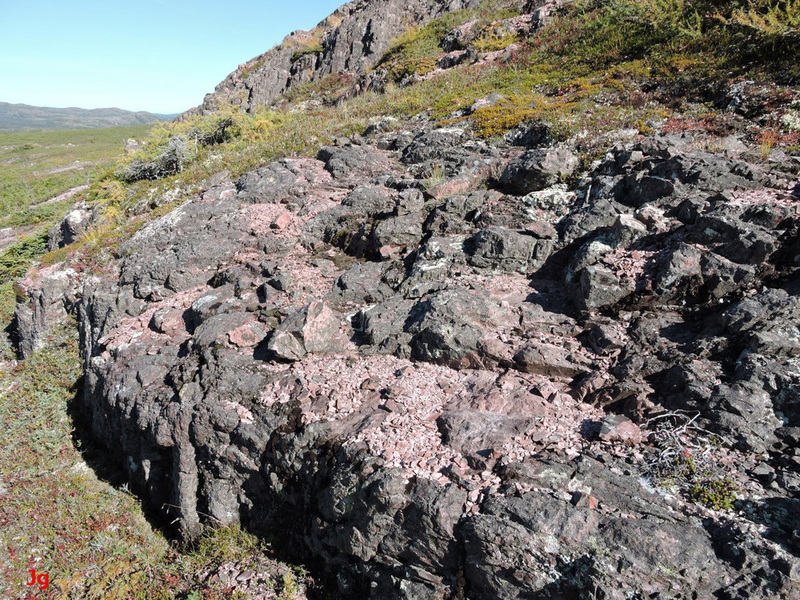 Color differences in the rocks pictured above reveal freeze-thaw weathering occurring at a rate faster than lichen growth. The red volcanic rock is grey when coated with lichen. See Lichen Analysis . 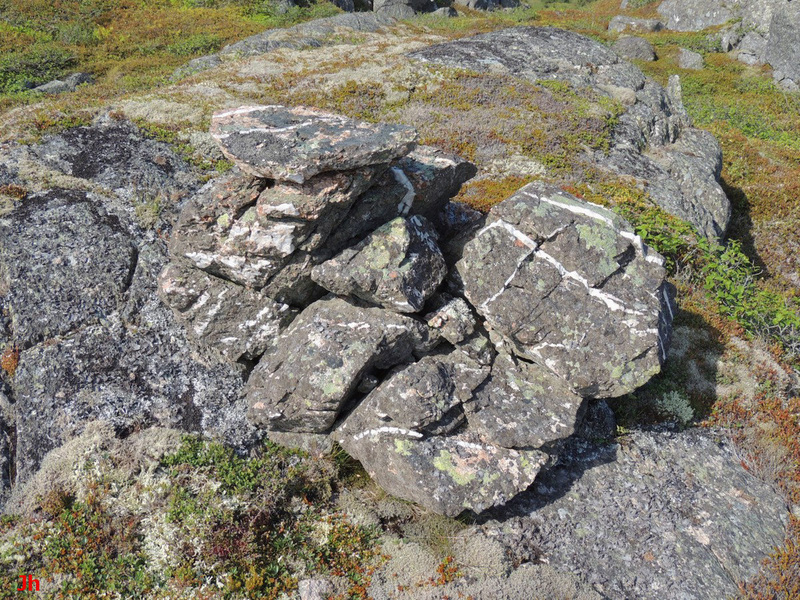 Incomplete lichen coating on rock surfaces suggests active freeze-thaw weathering occurring over a time frame of decades. See also Lichen Analysis . 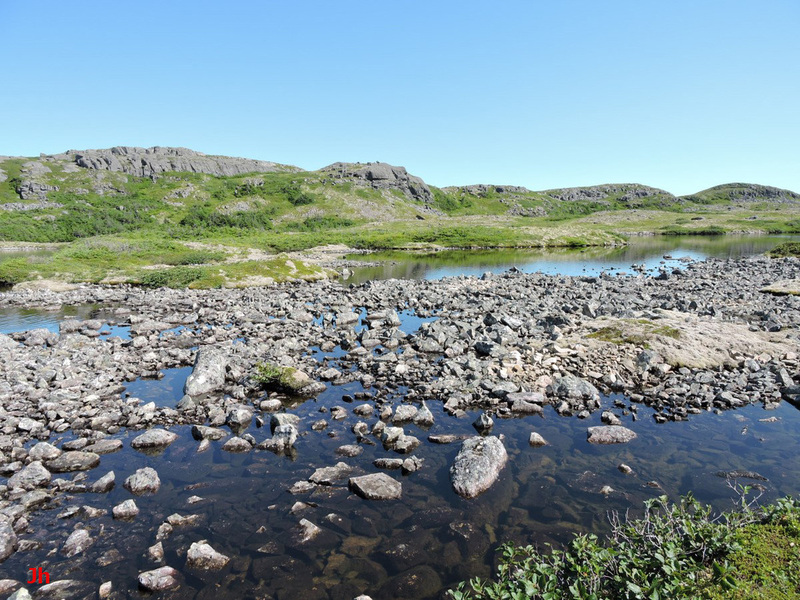 A special freeze-thaw weathering environment exists for rocks lying right at the water table. When a joint is widened by frost wedging, ice (or water) is retained in the widened joint and repeated thermal cycling can widen the gaps more and more. This allows for larger and more widely separated rock fragments as seen in the two pictures above. 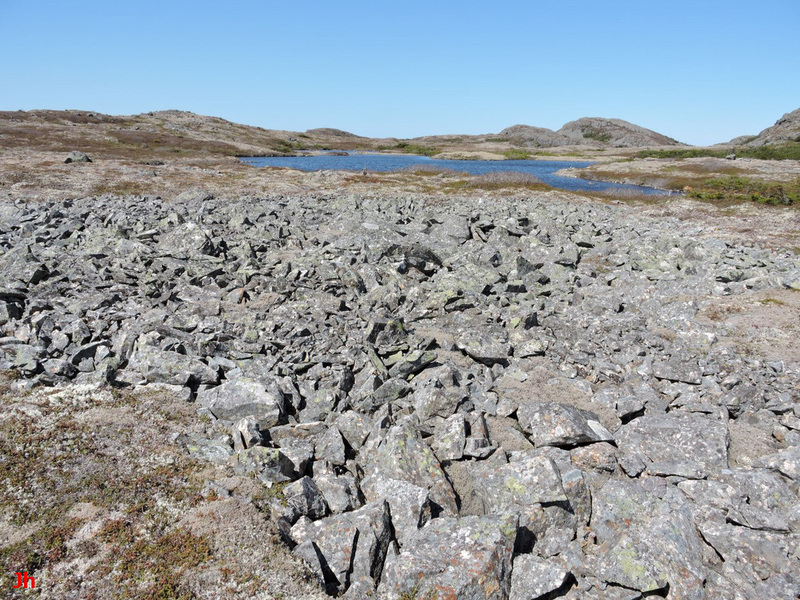 The above photo shows evidence of recent freeze-thaw weathering superimposed on a complex background of bedrock smoothed by basal slip glacial erosion, glacially displaced boulders, and bedrock disrupted by periglacial and/or cold-based glacial processes.